The liver is an important organ to a dog as it is to humans. If the dog’s liver is not healthy, the chances of having a healthy and long life are certainly under threat. The liver is a multi-function organ. Conversion of nutrients is done by the liver. The liver stores vitamins and minerals. The liver removes toxins from the dog's blood. Dogs liver disease can lead to inflammation. If this is not treated your dog could develop scars on his liver which will reduce the number of healthy dogs liver tissue. Less liver tissue means a partial loss of functionality. Other diseases within the dog's body can also lead to dogs liver disorders. Signs of this type of dog ailments can sometimes be misleading. Dog health symptoms are common amongst many different dog ailments. You need to get a professional opinion if you suspect dogs liver disease. Rather safe than sorry. The following are some of the signs of a dog with liver disease. Your dog is looking run down, no lust for life and listless. Your dog energy levels are low. As you can see dog health symptoms are not very specific. Your pup could well have worms if losing weight. Check his poop for signs of worms in this case. 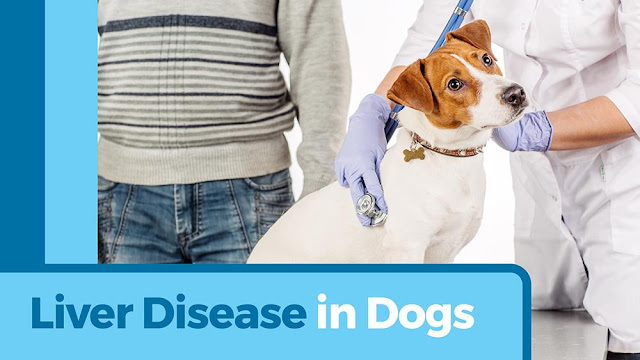 You need to observe your dog's condition as a whole when trying to diagnose dogs liver disease. There are many contributing factors to possible dogs liver disorders. Some you can prevent. Some you just have to accept. The age of your dog can play a role in liver health. Once your dog has reached his 10 human year birthday, he may be more prone to liver conditions. Remember your dog is 70 years old in his years. Like us humans, by the time you are 70, your liver has taken quite a beating. We all age, dogs and humans alike. The best we can do is try and provide the best possible nutrition. Try and avoid unnecessary toxins or chemicals. Again the bloodlines play a role in this dog ailment. Some breeds are just more prone to dogs liver disease than others. Breeds such as certain Terriers and Cocker Spaniels show a greater likelihood of developing liver issues. Professional advice is required if your dogs liver is diseased. It is not all doom and gloom though. The liver is a pretty amazing organ and will regenerate under the right conditions. A major contributor here is the pups diet. Your vet will advise what route to take here. Different breeds and size of dogs may require specific dietary needs. This is the key to helping the liver to rebuild lost tissue. It is a long-term fix but one that can be achieved and need not be terminal. As always the same old rule applies, "junk in, junk out", I am referring to dog food here. The key here is to educate yourself about all aspects of your best friends well being. Read the dog food labels and make informed choices. It's not always the most expensive food that is the best. You do not need to buy expensive food, just buy quality food and start from day 1 with your new puppy. There is tons of literature out there to empower yourself with. Once you know, you can make informed decisions about dog food and life.